The 66 books which comprise the Bible are a progressive revelation of God's promise in which the end is anticipated from the beginning. It begins with a promise and ends with the fulfillment of that promise. And what is that "promise"? It is the promise of a Redeemer, one whom God would provide in order to reconcile sinful man to Himself. The Bible is a story of God's abounding love for humankind. 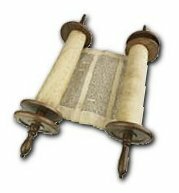 God's unique relationship with Israel was intended to point the way to the coming of Messiah. Throughout the Old Testament, God performed dramatic demonstrations of His power in order to strengthen Israel's faith. Through Israel's prophets, He also gave many predictions concerning the coming Messiah, so that He could be easily identified by comparing the prophecies with their fulfillments. 14"For it is evident that our Lord was descended from Judah, and in connection with that tribe Moses said nothing about priests. 1"For I do not want you to be ignorant of the fact, brothers, that our forefathers were all under the cloud and that they all passed through the sea. 4and drank the same spiritual drink; for they drank from the spiritual rock that accompanied them, and that rock was Christ. 5Nevertheless, God was not pleased with most of them; their bodies were scattered over the desert. 6Now these things occurred as examples to keep us from setting our hearts on evil things as they did. 8We should not commit sexual immorality, as some of them did  and in one day twenty-three thousand of them died. 9We should not test the Lord, as some of them did  and were killed by snakes. 10And do not grumble, as some of them did  and were killed by the destroying angel. The word "redeem" derives from the Middle English redemen and from the Anglo-French redemer, both modifications of the Latin redimere. It means "to recover by expenditure of effort or by a stipulated payment", "to purchase back or regain possession of by payment of a stipulated price". 9"When they came to the place of which God had told him, Abraham built the altar there and laid the wood in order and bound Isaac his son and laid him on the altar, on top of the wood. 10Then Abraham reached out his hand and took the knife to slaughter his son. The first is Isaac. Like Jesus, Isaac was the son of God's promise, both of them being conceived by miraculous means. Both Isaac and Jesus were offered as sacrifices to God, and each carried the wood for his own sacrifice. Isaac's submission to his father also mirrors Jesus' submission to His Heavenly Father. The second type of Christ is the ram. Just as God provided the first sacrifice to cover our human parents' sin, He substituted a ram at Abraham's altar. This substitution foreshadows the day when God would sacrifice His own Son, Jesus Christ, in order to purchase us back to Himself. In Exodus, we are introduced to the Passover, or Feast of Unleavened Bread. It is one of the most sacred memorials in the Jewish calendar. It commemorates the time when the angel of death passed over every home in Egypt that had lambs' blood on the doorframes. The purpose of the unleavened bread was so they could make a hasty departure [exodus] from Egypt. Before he could do anything else, the priest had to submit himself to God's will. Failing this part of the service could bring God's judgment and death (cf. Leviticus 10:1). The priest had to lay his hands on the animal to be sacrificed. In so doing, he was identifying [being united] with the animal whose blood would cover his [the priest's] and the people's sins. The priest would then slay the animal and sprinkle its blood on and in front of the mercy seat (cf. Leviticus 16:14-15). This foreshadowed Christ's death and the shedding of His own blood to atone for our sins. In other words, the priest's actions enabled the people to draw near to their God; and Jesus' actions, as our High Priest and YHWH-M'Kaddesh5, make us holy so that we might draw near to and fellowship with God. In the middle of prescribing the sacrificial system, God gave His people a rather unique provision. He instructed Moses and Aaron to take a "red heifer [cow] without defect or blemish" (cf. Numbers 19:1) and kill it outside the camp. This animal was slaughtered, not sacrificed. The priest then sprinkled some of the animal's blood in the direction of the tabernacle, and they then burned the entire animal to ashes. During the burning, they threw cedar wood, hyssop, and scarlet [red] wool on the animal as it burned. As you can see, this was unlike any other ceremonies in the Old Testament. After the burning, another man gathered the ashes and placed them in a ceremonially-clean place outside the camp. The ashes remained outside the camp and were periodically mixed with the "water of cleansing" used to purify people, tents, or furniture that had become "unclean" due to contact with a dead body. According to the above passage, there is only one all-powerful, unbounded, and perfect God. As a result of Him revealing Himself to us, we can easily identify the God of Abraham, Isaac and Jacob as the one true God. However, Christianity teaches that the Bible reveals a mystery which is too infinite for our finite minds to totally understand. That mystery, of course, is that God is a tri-unity  that is, He expresses Himself in three separate, but united, Persons. He is God the Father, God the Son, and God the Holy Spirit; and He identifies Himself by the name ["YHWH" in English], usually transliterated as "Yahweh" or "Jehovah", and written as "LORD" or "LORD" in most English Bibles. In many ways, Joshua's life and leadership illustrate what Jesus would do for God's people. Joshua led God's people into the promised land and their long-awaited rest; and through Jesus' death and resurrection, He leads us to the rest we so desperately crave. After Joshua's death, the Israelites turned away from God several times to serve the other nations' false gods. However, they soon learned each time that they needed God's protection from their enemies. In their most desperate moments, and following their repentance, God provided judges to deliver them and bring them back to Himself. He is also our Deliverer! Compare and consider the following. Compare the above deliverances God provided for Israel with the eternal, once-for-all-time deliverance we have in Christ Jesus. See Romans 11:26; 1 Thessalonians 1:10; 1 Timothy 4:10; 2 Timothy 1:10; Titus 2:13, 3:4-6; 2 Peter 1:1, 3:18; 1 John 4:14; Jude 1:25. As we have already discussed, a redeemer is one who buys back something previously owned. In the book of Ruth, we see, not only a beautiful story of love, respect and devotion in Ruth's relationship to her mother-in-law, but primarily an example of the role of kinsman-redeemer. In ancient Israel, the kinsman-redeemer was an influential family member to whom relatives could turn in their time of need. In the event of the death of a married man, the kinsman-redeemer could buy back any property that had been sold and he was responsible to marry the widow to carry on the family name of the dead husband. Anointing someone as priest, prophet or king meant that God had chosen, blessed, approved, and consecrated that person for a special service. The three offices of prophet, priest, and king come together beautifully in Jesus Christ. Reigning King and "Son of David"
The books of Kings and Chronicles set the stage for the rest of the Old Testament, as Isaiah, Jeremiah, Hosea and Amos all prophesied during this period. They faithfully carried out the office to which God had called them in their prophetic warnings of the tragedies to come on both kingdoms. At the same time, however, they also prophesied of the coming Messiah. The books of 1 and 2 Chronicles focus on David's lineage. David is considered by most to be Israel's greatest king, and God promised that the Messiah would be a descendant of David as the "son of David" (cf. Matthew 1:1, 9:27, 15:22, 21:9; Mark 10:47-48; Luke 3:31). Jesus can be found in every book of the Old Testament. Study the following designations and write a summary or the Bible verse(s) where Jesus is pictured. In Ezra, Jesus is our Faithful Scribe. In Nehemiah, Jesus is the Rebuilder of All that is Broken.. In Esther, Jesus is the Mordecai Sitting Faithful at the Gate. In Job, He is our Redeemer that Ever Liveth. In the Psalms, Jesus is My Shepherd, I Shall Not Want. In the Song of Solomon, He is the Beautiful Bridegroom. In Jeremiah and Lamentations, He is the Weeping Prophet. In Daniel, Jesus is the Fourth Man in the Midst of the Fiery Furnace. In Hosea, He is the One Who Is Ever Faithful and Forgiving. In Joel, He is Hope of Israel and the One Who Baptizes with the Holy Spirit. In Amos, He is our Burden Bearer and the Restorer of Israel. In Obadiah, Jesus is the Faithful Deliverer. In Jonah, Jesus is the Resurrected One. In Micah, Jesus is the Shepherd of Bethlehem. In Nahum, He is the Messenger with Beautiful Feet and our Refuge in Times of Trouble. In Habakkuk, Jesus is the Object of Our Faith. In Zephaniah, He is the LORD Mighty to Save. In Haggai, He is Desired of All Nations. In Zechariah, He is the Coming Victorious Messiah. In Malachi, Jesus is the Sun of Righteousness with Healing in His Wings. 1 Norman Geisler, Toward an Old Testament Theology. Zondervan Corp., 1978. 2 Dr. Edward Hindson, D. Phil., The Knowing Jesus Study Bible. Zondervan Corp., 1999. 5 YHWH-M'Kaddesh n.  The word "m'kaddesh" derives from the Hebrew word qâdash or kadosh and is translated in English as "sanctify", "holy", "dedicate", "consecrate", "sanctuary", or "hallow". Primarily, it is translated "holy", as in "the Holy [m'kaddesh] One". "Sanctify" means "to set apart an object or person to the dedication of the holy". The first truth Israel learned about God is that He is completely holy. As Himself the Holy One, YHWH is separate from and exalted above all else in the universe (cf. Deuteronomy 4:35; 1 Samuel 2:2; Isaiah 44:6; Isaiah 45:21b). Knowing that we can never do anything to make ourselves holy, He reaches out in mercy and in love to make us holy. "I am Yahweh who sanctifies [m'kaddesh] you" (Exodus 31:13; Leviticus 20:8 WEB).